So, what now? The synod on young people has finished in Rome, the final document is being translated, the bishops, auditors, experts, observers and reporters have all returned home and gone back to their usual routines, the hashtag #Synod2018 has fallen out of daily use on Twitter, so let’s just call this synod over and done. What a nice little month where the Church showed she cares about youth and young adults, now let’s get back to business as normal. There’s a strong temptation to think that the synod on “Young people, the Faith and Vocational Discernment” was a “one and done” meeting with a few hundred bishops and a handful of young people resulting in a document that most people won’t read and an apostolic exhortation that’s still a few months away. There are some who wish this synod had never even happened, claiming the current scandals and struggles the Church faces made the synod unnecessary at this particular moment. Now that the synod is over, it would be very easy to let it simply fade into the past. But, if we do let this synod simply “fade away” and write off the good work done, the wise things said or the innovative ideas formulated, then we are writing off young people of the world who desperately need holy mother Church. For a young person to wander through life aimlessly, without a relationship with the Lord, without answers rooted in truth, without an authentic encounter with Christ, is a tragedy. The Church wants young people present because it is good for the Church and good for the young person. 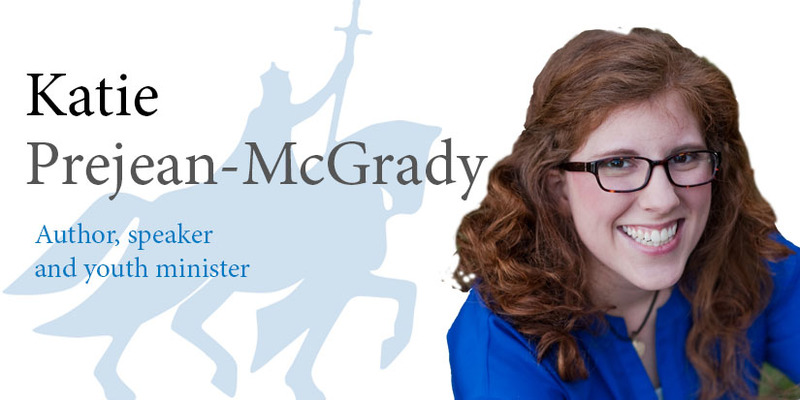 Prejean McGrady is an international speaker and author. She was one of three delegates sent by the USCCB to the Vatican’s presynod gathering of young people in March. She lives with her husband and daughter in Louisiana.